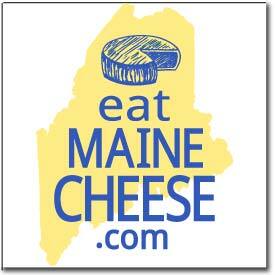 The Oct. 6 Maine Cheese Guild meeting will be held at the University of Maine atOrono from 10:00am to 2:30pm. Gary Anderson and Beth Calder will be hosting the meeting at the Buchanan Alumni House in the McIntire Room. Please contact Melissa Libby if you plan on attending and she will email you a parking pass. Please contact her before Friday afternoon at melissa.libby1@maine.edu or call her at 207-581-2788. We will be parking at the Newman Center (across the street from Buchanan Alumni) and also in the Nutting Parking Lot after the business meeting. Please visit this campus map: http://umaine.edu/locator/files/2009/05/2014-2015-Campus-Map.pdf. At 10:00am to noon we will be having our business meeting and Beth Calder will be presenting results from a 3-part study that she, Gary Anderson and Jason Bolton conducted at the University of Maine in regards to food safety research that pertains to cheesemakers. Coffee, tea and water will be provided from 10:00am to noon. Please do not bring cheese or your lunch into Buchanan due to their policy. We will be eating lunch in Hitchner Hall. At noon, we will be driving to Hitchner Hall after the business meeting. Please bring cheese to share and your lunch. We also have the option to purchase lunch at the Memorial Union “to go”, as we will be eating in Hitchner Hall, Room 159 near the Pilot Plant, just follow the signs to the Pilot Plant on the 1st Lunch will be from noon to 1:00pm. Beth, Gary and Mike Murphy will be giving an optional tour of the Pilot Plant, Commercial Kitchen and any laboratories of interest in Hitchner Hall, and we should wrap up the tour around 2:00-2:30pm. • Coming from the south on I-95, take Kelley Road Exit #191. • Turn right at end of exit ramp. Drive 1 mile to the traffic light. • Take left onto Route 2. Drive 2.5 miles to the third set of traffic lights. • Turn left onto College Avenue. Alumni is across the street on the right just before the main UMaine campus. • Coming from the south on I-95, take Stillwater Ave Exit #193. • Turn towards Burger King and the shopping center. • Pass by the Alfond Center and main campus. • Coming from the north on I-95, take Stillwater Ave Exit #193. • Turn left at the end of the exit ramp. • Drive 1 mile to the fourth set of traffic lights. • Turn right onto College Avenue. • The Newman Center will be on the right (just past the intersection of Munson Rd. and College Ave.) and the Buchanan Alumni House is across the street on the left. Posted in Events, Guild and tagged guild-news.